I’ve suffered concussions from playing lacrosse and crashing a Mt Bike in the city. I think back and wonder about those cold and wet soccer balls we had to head down at Marymoor Park that could not have been good for us. Played football in 5th and 9th grade and I’m pretty sure I got by ok but time will tell. Writing this Blog is eye-opening and scary; however, I know sports technology such as the kind Schutt Sports develops will forever help improve football player’s protective devices. Helmets protect the body’s most vital organ the brain and ultimately help reduce concussions. Degradation and long term cognitive function are serious issues I wanted to drill down and find out more about before talking to Schutt Sports about their techie helmets. Helmets are designed to protect against skull fracture and most hits but NOT concussions. Modern helmets still need to be four-times better to protect against concussions according to experts. Helmet-to-helmet blows are the worst hits of all. Even a whiplash motion by the body or striking the ground can cause a concussion to happen. ‘Are football helmets getting safer’ is a video from CNN in the link above. It’s an insightful look at a new NFL report testing 16 different models that all passed. Dr. Robert Cantu says that the real danger is high-impact Vs low-impact hits. With stiffer material in place, blows at intermediate to lower force, where most of all hits occur – especially at the youth level, are the biggest concern. The Schutt Sports DNA Pro + helmet passed recent NFL testing standards with highest performing marks. 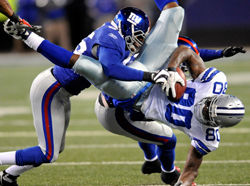 A NY Times concussion article: Concussions and Head Injuries in Football. Many players face multiple concussions through a lifetime of playing football or lacrosse. CTE is a progressive neurodegenerative disease caused by repetitive trauma to the head. Diseases like Alzheimer’s, Dementia and now we are finding ALS, often seen in a person’s 70’s, are showing up in football players 50’s as a result of CTE. New NFL Study via Yahoo. The study, which began last year, involved two independent labs that tested each of the 16 commercially available helmets for impacts similar to what would be felt by an NFL player in the open field. Eight locations on each helmet were tested using four speeds of impact, based on an analysis of game film and computer models in an attempt to replicate actual hits. The raw data was examined by two independent biomechanical engineers and a statistician, and reviewed by the NFL’s new Head, Neck and Spine Committee and doctors from the players’ union. The results showed that all 16 helmets met or exceeded national standards to protect players against traumatic head injuries, and none performed worse than a reference group of helmets from the 1990s. Three of the modern helmets—the Riddell Revolution, the Revolution Speed and the Schutt DNA Pro + (video)— Schutt DNA Pro + (picture and stats) were singled out as the top-performing helmets. 1) Depression 2) Confusion 3) Early onset of dementia. The 88 plan is named after Pro Football Hall of Fame member John Mackey, a former Colts player who has severe CTE dementia. With the 88 plan, the NFL will pay up to $88,000 a year for their ex-players health care. All NFL players now have neurological tests on file. 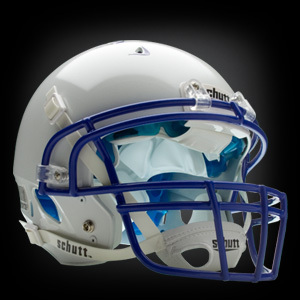 Sports Techie spoke to Schutt Sports Private Company info Marketing team member Glenn Beckmann about their domestic manufacturing in Illinois and the advanced technology that goes into creating their football helmets, faceguards and other sports products. “We build gear for players” said Glenn. Schutt Sports was founded in 1918, that’s seven-years before the NFL’s oldest team, the New York Giants. They’re the No. 1 manufacturer in the world of faceguards. Schutt Sports is the base suppliers for MLB. They produce both Softball and Baseball products. All Schutt Sports R & D and testing is done in Illinois. Schutt Sports main helmet manufacturer competition is Riddell, who also happens to be the official sponsor of the NFL. Riddell created a YouTube video that Schutt Sports decided to spoof with a video series of their own that features the watermelon test video below. Schutt has produced better ROI for now with marketing efforts via Facebook rather than Twitter or Linkedin. I enjoyed finding out from Glenn that our companies share the same business philospohy that technology helps products come down, sometimes 50% in cost, and, you end up with a better product that more people can use. Helmets made by Schutt Sports can sorted on their web site by technology, components and a number of other search criteria. The Air Maxx TPU cushioning is sports technology at work. Used by the U.S. Military for helmets, fighter pilots and paratrooper, it’s now standard in Schutt helmets. –We introduced Thermoplastic Urethane (TPU) Cushioning to football in 2003, with the advent of the DNA Pro. Six years later, now in its third generation, TPU Cushioning remains the best performing padding system in football today. In game-like conditions, the DNA Pro+ outperform all the other helmets on the field. It’s proven superior to traditional foam padding in game-like conditions: better impact absorption, better heat management and better hygienics. TPU Cushioning won’t take a compression set, won’t break down (even after thousands of impacts) and is resistant to mold, mildew, fungus and bacteria while providing a barrier against MRSA and staph concern. There is no break-in period with Schutt Sports helmets. Schutt’s patented ‘Energy Wedge’ faceguard is built into the helmet and also offers a better view for the player. Their helmets quarter-turn release system is unique and an aggressive safety feature. Riddell helmets need a specific tool to remove a face guard. Chin straps and Jaw pads fit snug. Ventilation holes and inflation valves keep you from working to cool down and pump up your helmet. AntiMicrobacterial technology nearly eliminates mold and bacteria. Schutt Sports newest football helmets use a titanium faceguard that weigh 50% less. There are both carbon steel and poly carbonate options. The Ti-JXT technology that uses screws and T-Nut hardware is cutting edge. Equipment managers in the NFL and College have 200-300 football helmets in inventory. Saving time is a huge factor when making decisions about what helmet to buy. Reconditioning is a trend that teams use to save money and stay up to date with the latest gear. Watch a Michigan Wolverine YouTube video about helmet reconditioning here. Schutt Sports is a sponsor the Manning Passing Academy. http://www.manningpassingacademy.com/ Kids are given a chance to wear Schutt Sports gear at camps. Pop Warner teams have a chance to win the Schutt 2010 Grant of 24 new DNA Recruit football helmets for their program. See the winners list here. Schutt Sports offer two training gear devices on their web site. A Formation learning tool and a Kickers net. I asked about any Apps in the future and Glenn said they are interested all technology. See here. The Hot Head Tech heat-sensing helmet insert is not refined says Glenn but it might be the start of another innovative sports technology trend in helmet tech. Glenn discussed how it is hard to measure the threshold of impact in order to produce color change on a large blow to the helmet. I like this tech and hope to see it one-day mature. Key developments for Schutt Sports, Inc.
HotHead Technologies Inc. announced it is working closely with Schutt Sports to develop a commercially viable heat-sensing helmet insert, which can detect potential heat stroke in a player in real-time. Developers at HotHead have spent years perfecting a dime-sized sensor that is expected to be implanted in the forehead pad of new and refurbished Schutt football helmets beginning this fall. The sensor will track the temperature trends of players on the field and send that data to a PDA (Personal Digital Assistant) on the sidelines where it can be monitored in real-time. In the event a player’s temperature rises above normal, an audible alert is set off to warn a coach or certified athletic trainer that the player should be evaluated and cooled down. While concussions and head injuries remain the most highly publicized injuries for football players, heat stroke and other heat-related problems are a very real threat to athletes and can be even more serious than other injuries. 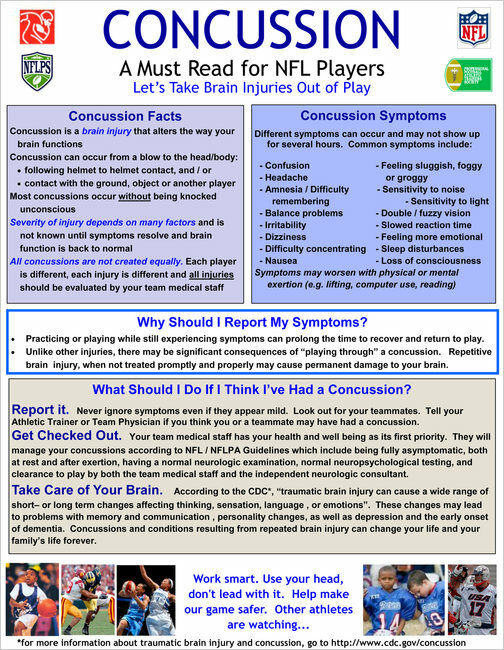 Football parents, players, coaches and equipment managers, what can be done about Concussions? According to Glenn, parents need to replace kid’s helmets regularly because they degrade over time and testing gets better every year. The single-most important factor is to have your helmet properly fitted. Glenn mentioned that their helmets simply do not fly off a player’s heads when hits occur if properly fitted. At the recent Seattle Seahawks vs. Green Bay Packers game, I witnessed helmets coming off of player’s heads too much. Glenn said this is happening because of possible improper fitting and not buckling up the chin strap tightly. Most everyone now agrees that an independent, on-the-field, medical study about concussions and helmets needs to be done ASAP. Look for that to happen soon. Finally, have your kids try on helmets first. Glenn says the Northwest does good business for Schutt Sports. Their local dealer is in my hometown of Redmond, WA at Athletic Supply. Thank you to Glenn and Schutt Sports for your time and info! I spoke to Easton Hockey about their newer S19 Z-Shock helmet that weighs that less than a cup of coffee. Will that help prevent concussions? Look for our conversation coming in a new Blog shortly. Our next Blog is about this past Saturday when I was on the set of the Food Networks show ‘Tailgate Warriors with Guy Fieri’ and got to know Marcellus Wiley of ESPN who was judging the competition between Seattle Seahawk and Green Bay Packer fans who know how to RV cook at Qwest Field! Helmets are designed to protect against skull fracture and most hits but NOT concussions. One theory supported by new data with the military and a Harvard professors review of N.E. Patriot players who have been fitted with a correcitve device. The internal workings of the temporal mandibular joint may hold the key to concussion reduction in those prone to concussion from blows to the lower facial area. Thanks Dr. Maher, hope the NE Patriots stay free of concussions. We have had 3 concussions in 1 weekend of football with the Shutt DNA helmets. They are great helmets for contact that is forward to backward and vice-versa. The issue we found was side impacts down or near the earpiece. The helmet’s sidewalls flex 2-3″ which imparts significant impact directly into the side of the players heads. Looking for any others who have had similar experiences. Has anyone looked into this?